The teeth and gums of your baby are still delicate and require extra care when cleaning them. Regardless of the number of their teeth, parents must find a gentle yet effective way of eliminating bacteria that may cause tooth decay. 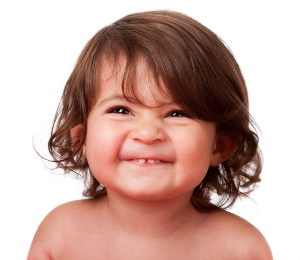 Baby’s teeth usually start to appear between 4 and 7 months. Even though these teeth are not yet showing up, cleaning their gums daily with a moistened cloth is a good way to start their oral hygiene. This supports in getting rid of the bacteria and helps your baby acclimated to teeth cleaning. Choose a soft, moistened piece of gauze or washcloth. Use the cloth to wipe down the gums of your baby. Do this gently, twice a day. Don’t forget to clean their gums after feedings and before bedtime. These methods will eliminate bacteria and inhibit them from staying to gums. It’s crucial since bacteria might leave a sticky plaque that can harm infant teeth as they enter. Use toothbrush that are designed for toddlers (soft-bristled, with large handle toothbrush). At this stage, don’t use a toothpaste yet. To start the routine, lay your baby on your lap while supporting his or her head. Clean the teeth and gums gently. Brush your baby’s teeth for at least two minutes and repeat this twice a day. Consulting your dentist for your baby’s first dental checkup is an excellent way to learn more about effective techniques of caring your baby’s delicate teeth and gums. Here at Bondi Dental, we provide professional oral hygiene education that will help you and your baby achieve admirable oral health wellness, for future protection and prevention of various dental problems. Contact us today to claim your FREE Dental Consultation on dental checkup, smile make-over, and dental implants.Call on (02) 9365 7187 or simply book your appointment online.